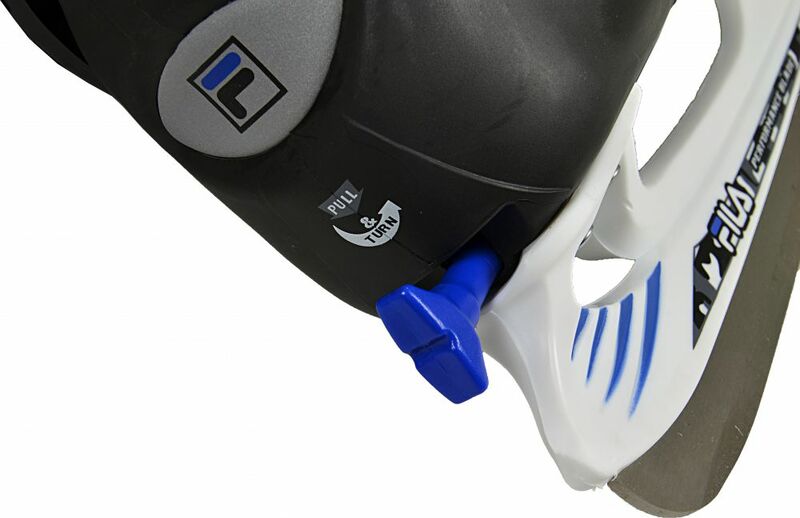 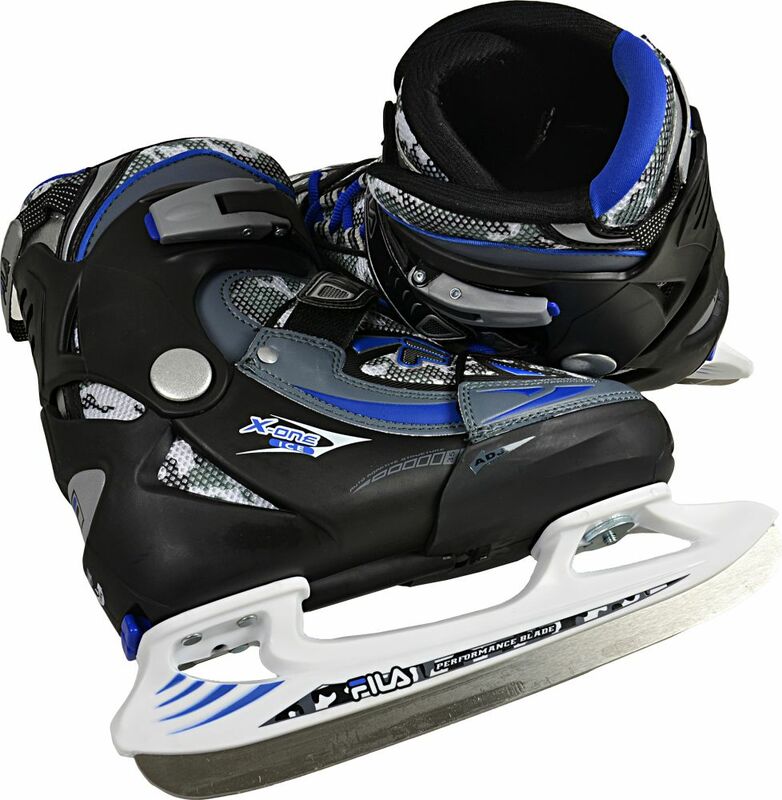 Size adjustable iceskate with safety buckle, lace and velcro closing mechanism. 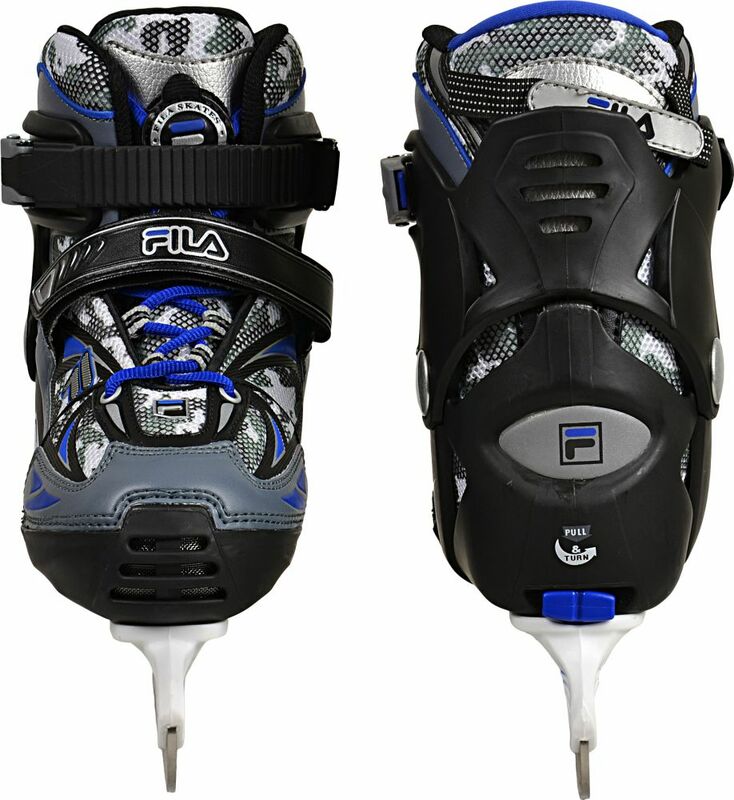 Good ankle support due to hard outer shell. 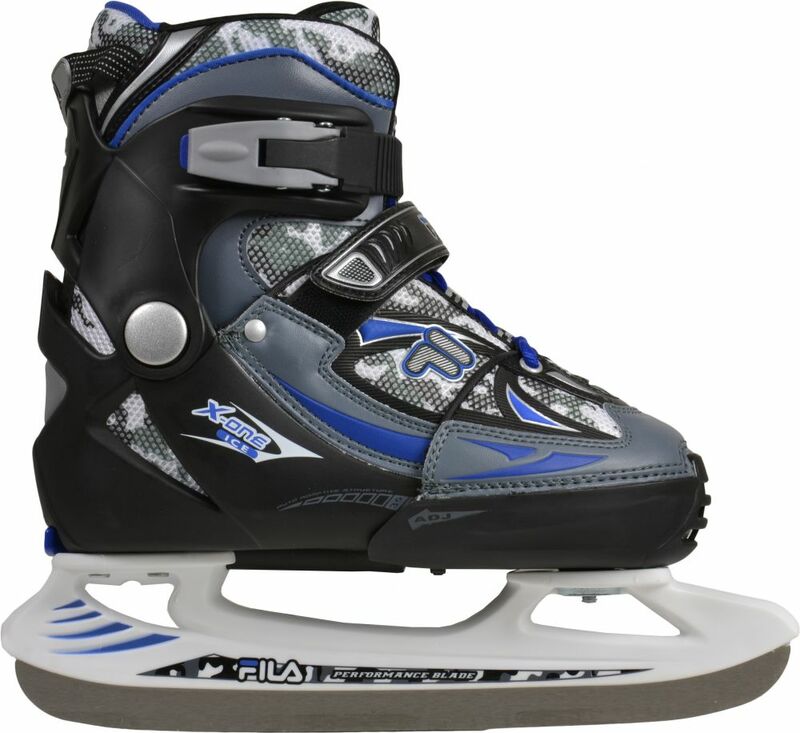 Hockey style stainless steel blade.